DNG Maxwell Heaslip & Leonard's residential sales team is offering a home that will certainly catch the eye of those on the hunt for a property in the Knocknacarra/Rahoon area. No 23 Bun Caise is located on the old Rahoon Road. A wonderfully bright and spacious house, it is beautifully presented and in walk-in condition. Comprising approximately 1,280sqft of living space, the house is being offered to the market with four well-proportioned double bedrooms, a spacious living room, a kitchen/dining area, and a large floored attic space, which is suitable for conversion. The existing owners have combined the use neutral colour schemes and a tasteful modern décor to ensure this large house will appeal to all buyers. The house has a warm and welcoming feel to it, which is clearly evident when walking through the door. As well as oil fired central heating and double glazing, the house has solid oak flooring in the cozy living room with an open fireplace. The entrance hall is also oak and leads into a tiled kitchen floor, with a designer stainless steel kitchen. The downstairs bathroom, which is completely tiled, has the added benefit of also having an electric shower. The dining area overlooks the south facing rear garden, which has been landscaped with a paved patio area to ensure taking advantage of those rare sunny days. To the front of the property there is a large off street parking area with ample room for two cars. Selling agent James Heaslip says this is one of the finest houses to come to the market in the area in recent months. “We are constantly on the lookout for properties like this. Well-presented, spacious homes are in big demand and with all this living space, there’s going to be a lot of interest in this," he says. "It’s in great condition and is ready to walk-in to." The location of this particular house is superb, overlooking a green area to the front and located to the rear of the development where it is quiet. NUIG, UCHG, Dunnes Stores and the Westside Shopping Centre are all within walking distance. All major bus routes are also on the door step. James Heaslip is advising anyone looking to purchase a turnkey property home, so close to the city and all amenities, to view this property without delay. 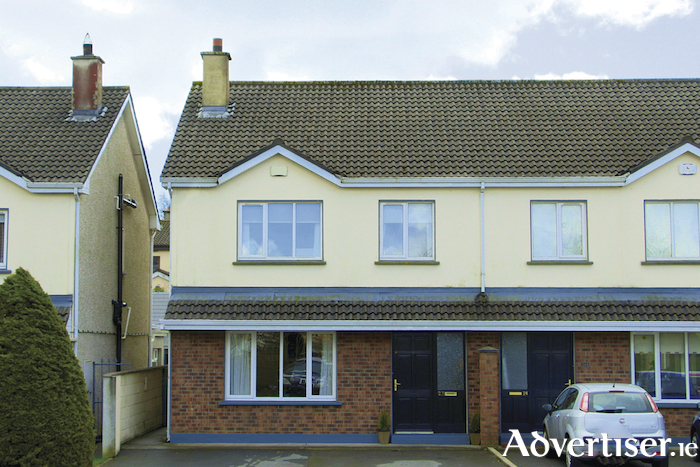 Viewings can be arranged by contacting the sales agents in DNG Maxwell Heaslip & Leonard on 091 565261.